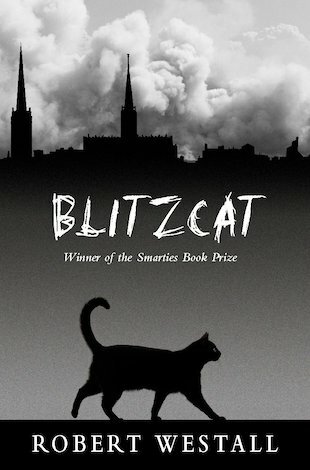 Amid the terror of World War II, out of the blazing hell of blitzed Coventry, one brave cat leads the way to safety. People touch her for luck, or fear her as an omen of disaster. Wherever she goes, she changes lives. Her determination never wavers. She is the Blitzcat. Winner of the Smarties Book Prize. A marvelous book, breathtaking and intense and extremely well written! Readers will feel an overwhelming sense of nostalgia. Robert Westall has won many awards, including two Carnegie Medal for The Machine Gunners and The Scarecrow, and the Guardian Children’s Fiction Prize for Kingdom by the Sea.